I’m a trusted, John Maxwell certified, executive presence and leadership coach, strategic thinking partner and confidante to women executives, entrepreneurs, and companies who value women in leadership. 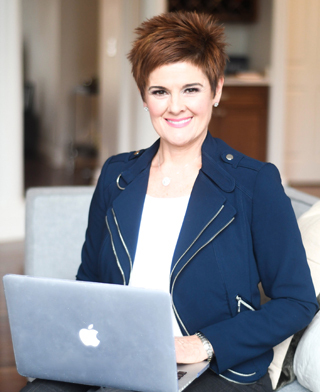 Through personal coaching, training, speaking and facilitating with the John Maxwell Leadership programs as well as signature custom programs, I help women express greater confidence, professionalism and style. I want my clients to walk into a boardroom or client meeting and be perceived as the strategic, focused and engaging leaders they are. I live to change the world one life at a time by creating a society where women are grounded in their power, become the leaders they are born to be, and lift others as they expand their circle of influence! 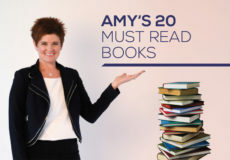 For more than 20 years, I’ve thrived as a business owner and entrepreneur, leader, business and image consultant and coach, using my unique gifts to elevate women in all facets of their professional growth! To really understand me, you have to know that I am at heart an authentic educator, creative person and someone who is born to lead. I love teaching others and have since I was a child. I love the arts, especially participating as a singer, actor or musician, and I bring this creativity and expression into problem-solving for my clients. Most of all, I love to lead the way, whether it’s a meeting, a project or a creative presentation. 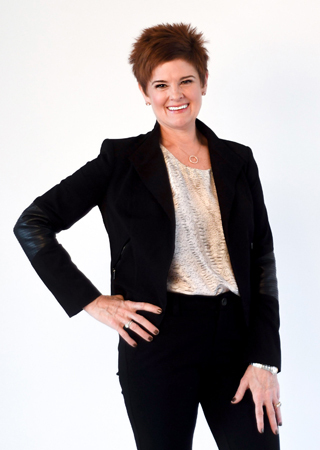 “Can you see why I love my work as an executive coach, trainer and speaker? 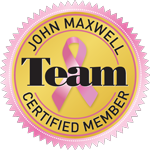 I’m proud to be a trained and certified member of the John Maxwell Team, a globally renowned group of highly trained and skilled coaches, trainers, speakers, mentors and professionals who help individuals and corporate teams increase their personal and professional growth. I also hold an MA in Organizational Development from Loyola University and a BA in Communications from Wheaton College. A background in the performing arts helps me hone my client’s presentation skills and I am also fluent in many assessments including DISC, CliftonStrengths and Meyers Briggs, as well as familiar with Enneagram. I’ve learned from making my way through my own adversity in life, as well as helping those in business, that problems cannot be solved within the same mindset that created them. The common denominator is individual and collective thinking. To change your behavior and results, you must first change your thinking. It’s not easy. But I help individuals get there by helping them understand and own the importance of balancing results with authentic relationships to build the skills necessary to change their mindset and behaviors. That’s where the Full Circle 7 program comes in. 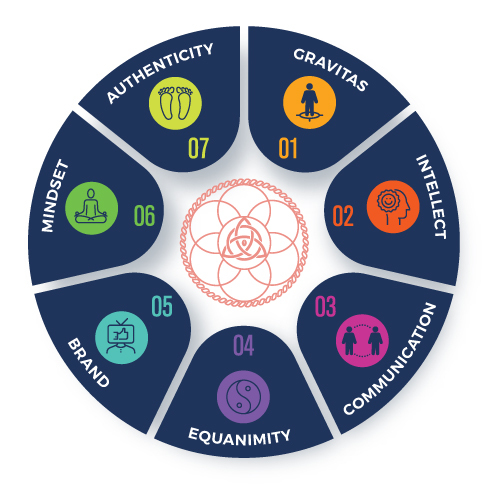 I created the Full Circle 7 to help anybody discover, develop and work from their strengths within their personal ecosystem of intellect, social and emotional intelligence. It’s a comprehensive, holistic approach that concentrates on seven, key elements that encompass leadership and character potential. My clients and I have found them to be a strategically powerful catalyst for change in their lives! Prior to my experience as an Entrepreneur, I worked in corporate America as a manager with full P & L responsibility, a consultant to a wide variety of companies and in business development and training. I’ve worked for large international companies as well as medium and small family owned companies in both manufacturing and services sectors. As a result, I understand the impact that good and poor leadership has on corporate cultures, how politics impact the unwritten rules and codes of behavior and the lasting impact that wise, emotionally intelligent leaders can have on their teams and their bottom line. As an experienced entrepreneur and leader with cabi, an international, alternative resource to traditional retail sales for women’s apparel, I consistently set and achieved my personal and team business goals. For more than a decade, I grew my business about eight percent per year, generating revenue in excess of $5M, while leading and coaching a team of 18 entrepreneurs in the growth of their business. My work at cabi also inspired and informed my skills as a style and image consultant, which I bring to my executive presence clients. I also assisted the cabi training and development department with strategic planning, cultivation of corporate culture, workshop creation and facilitation at two national sales conferences per year. So now you know me. What do I need to know about you? Or what can we discover together? Take the assessment of your place within the Full Circle 7 program and join me on an exploration of your potential to become the leader you were born to be! Contact me today for a consultation. Imago Dei is Latin for “the image of God.” Each of us has a unique imprint. Our Imago Dei, tucked away in the cells of our being, begs to be fulfilled. We honor and release each individual’s true potential. We work to uncover the potential residing inside each leader. We nourish and guide people, enabling them to grow their careers and themselves as individuals. Listening comes first to identify the unique talents, skills and abilities each person brings to their work. We are committed to adding value to our clients each and every time we interact.